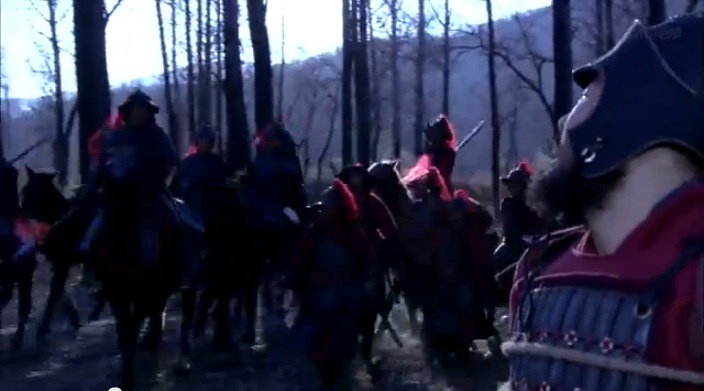 Zhang Yong and Wu Shi Ma race through the forest. Bro Squad comes to Zhang Yong’s rescue. Zhang Yong pretends to take Bro Squad hostage as he prepares to escape. Wu Shi Ma was injured in the scuffle. Zhang Yong ties Bro Squad to a tree to cast off suspicions. Zhang Yong takes Wu Shi Ma to a famous doctor. 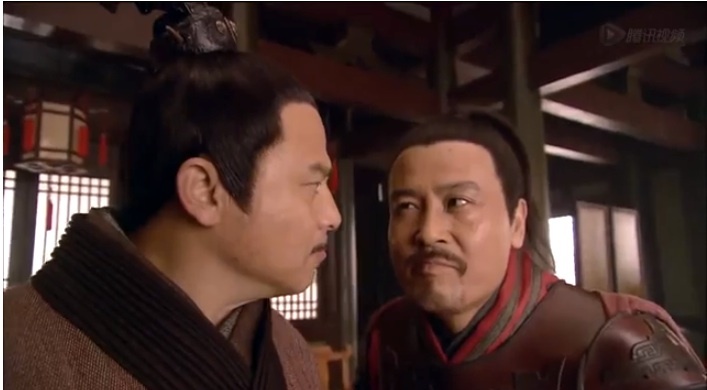 Finally, there’s a showdown between Yue Fei and Wu Zhu. I will never get over how great and epic the scene looks with just a few rows of soldiers and music. Is Wu Zhu wearing guy liner?! Things don’t look so great for Song when soldiers fall under those metal rods and spikes. Many are injured in Yue Fei’s plan of repeated attacks and retreats to wear the machines out. Yang Zai Xin looks pretty great on a horse. Yue Fei’s Bro Squad does pretty well on the battlefield. Yue Fei fights with Wu Zhu. General Du goes back on his promise and orders the cannons to fire. The soldiers try to stop General Du, but they’re killed. Yue Fei looks like he’s winning his battle against Wu Zhu. The cannons are lit. COME ON dude, there’s a battle going on right there. The Yellow River slowly floods. 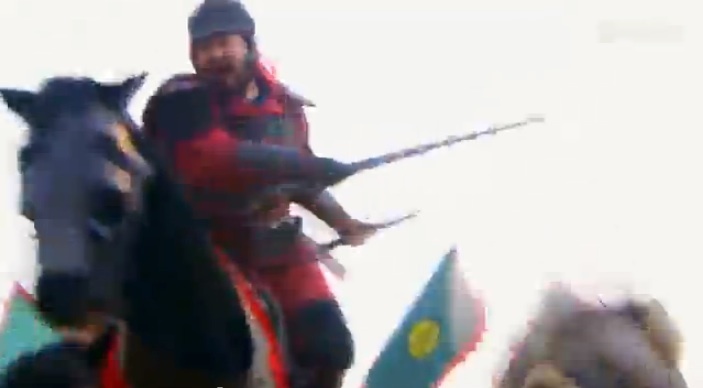 Yue Fei gives an angry yell as the soldiers scramble to escape. LOL at the CGI in this scene. 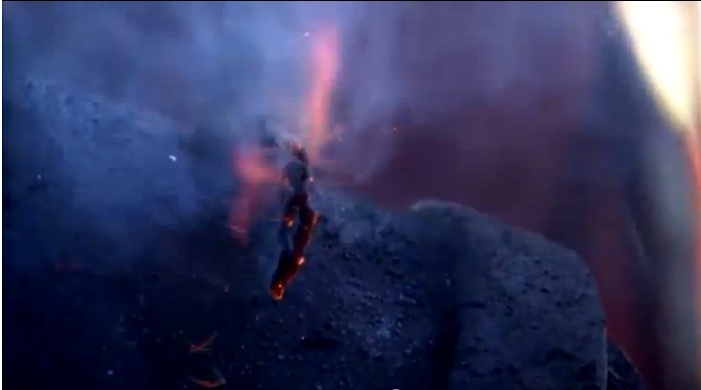 But this is not to be taken lightly, because many many people died (Jin and Song). Wu Zhu vows to kill whoever is responsible. I’m with him on this one. General Du smiles to think that Yue Fei could have drowned in the battle. The Emperor cries about all his dead citizens from the flood. Did you forget that you gave the orders for this move two episodes ago? Official Zhao cries that the citizens should be first priority. Official Wang and Qin Hui don’t seem too bothered. Qin Hui is sent to restore peace to the banks. 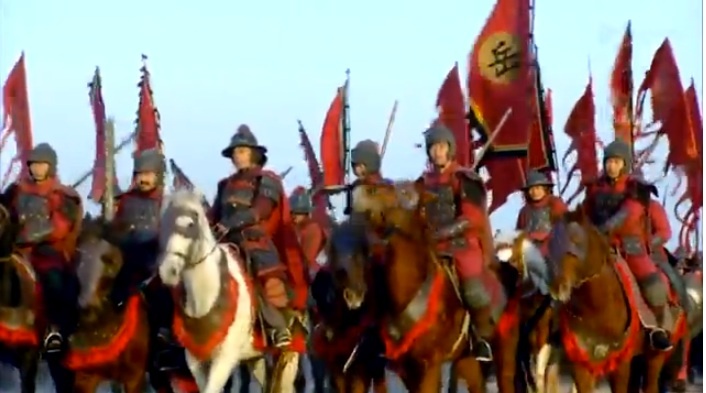 Yue Fei and Bro Squad show up to confront General Du. HAHA, they all try to go inside. Numerous soldiers already retired from the army, especially those who had family that perished in the flood. 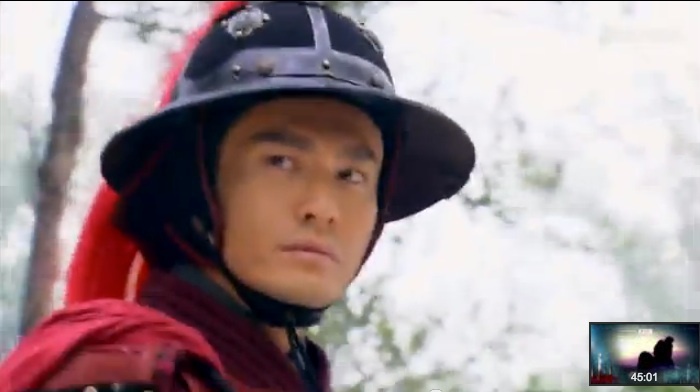 Yue Fei glares down General Du. 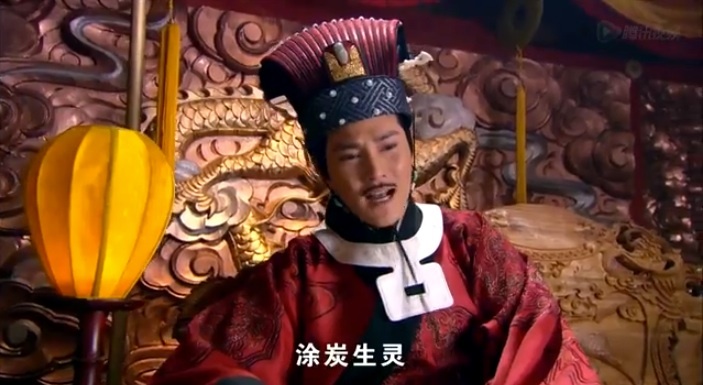 This entry was posted in Chinese Dramas, Culture, Drama Recaps/Reviews and tagged 精忠岳飞, Episode 29, Huang Xiao Ming, Jing Zhong Yue Fei, Patriot Yue Fei, Recap. Bookmark the permalink.